It’s been a long road for Master Chief. Four numbered releases, multiple spin-offs, and a decade-plus journey that’s set to continue in 2015 with the release of Halo 5 Guardians. Before that happens, however, Microsoft wants every Xbox One player brought up to speed on the story so far. Enter Halo: The Master Chief Collection. You might remember The Master Chief Collection as the subject of a rumor back in May 2014. Well, the rumor was true … mostly. Microsoft has gathered the four numbered Halo games — sorry Halos Reach, ODST, Spartan Assault, and Wars — onto a single, Xbox One-exclusive disc. All four are freshened up to some extent, but Halo 2 will be getting the same “Anniversary” treatment from Saber Interactive and Certain Affinity (in collaboration with 343 Industries) that Halo: Combat Evolved got in 2011. All of the games are content-complete for the most part, with full campaigns, multiplayer (all DLC included), and co-op modes, all running in their original engines and at 60 fps. The Forge map creator mode that was introduced in Halo 3 remains unconfirmed — 343 is looking at it, we’re told — but everything else seems to be there. The emphasis on porting each game’s original engine is meant as a nod to longtime fans; glitches in each game that came to be recognized as useful gameplay strategies are intact. The devs are tightening everything up, but there are just as many conversations around which “faults” to leave in as there are about which ones to fix. Since none of these games have ever been released on Xbox One, there’s a whole new set of Achievements to pursue. Rest easy, fans. Your rocket jumps are safe. To better manage this ridiculous abundance of gameplay, 343 built a range of features into The Master Chief Collection‘s front-end user interface that allow players to mix things up a bit. Playing through individual campaigns, beginning to end, is just one of the options you’ll have. 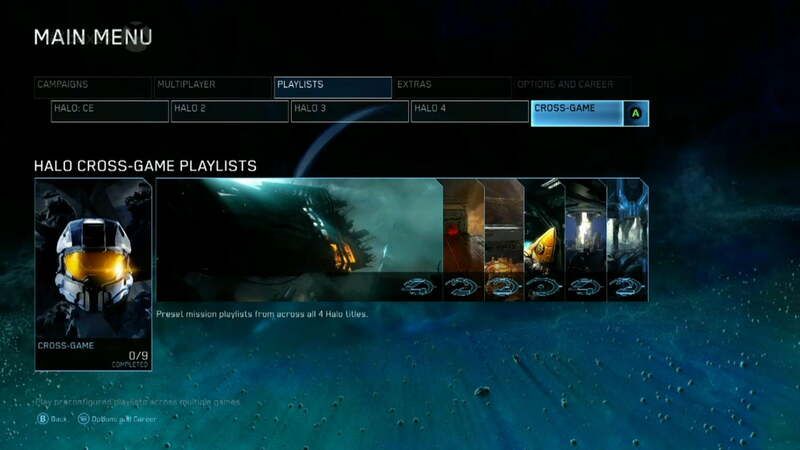 A “Mission Setlist” menus item is your portal to accessing 343-curated playlists of campaign missions that follow a set theme. So “Freedom of Flight” might group together all of the flying missions from the four games, while “Flooded” groups up all of Master Chief’s encounters with the Flood. 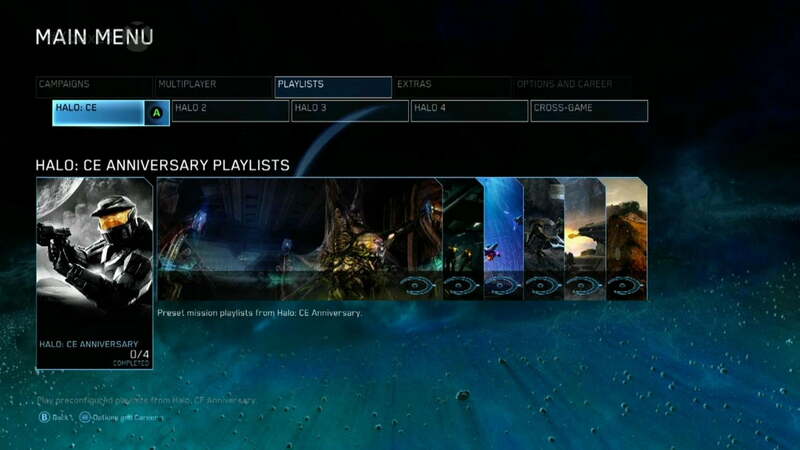 343 is also looking into the possibility of letting players create their own playlists, a post-launch feature. 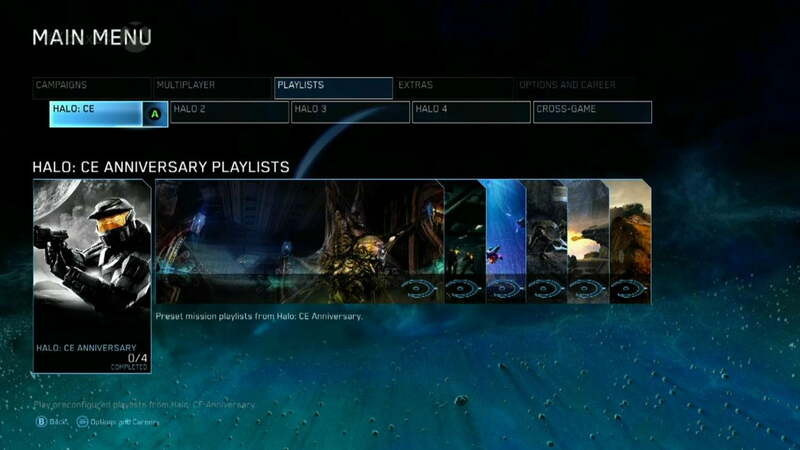 Multiplayer gets a similar treatment, with playlists built around different themes, whether it’s for a specific game or a set of maps/modes that relate to one another in some way. The thumbnails for each map on the post-match voting screen include icons to let you know which game the map comes from. Since multiplayer is constantly cycling through four different game engines — each very similar, but with distinct differences — a small touch like that promises to be very helpful for longtime fans. One last thing worth mentioning: since none of these games have ever been released on Xbox One, there’s a whole new set of Achievements to pursue, if you’re into that sort of thing. Four games, 4,000 Gamerscore worth of cheevos to be unlocked. They won’t be completely ported over from the earlier Achievement lists, but expect some similarities. Halo: The Master Chief Collection isn’t just the four games lumped together. The enhancements added to what we can safely refer to as Halo 2 Anniversary include the same “collectible” Terminals that were added to Halo: Combat Evolved Anniversary (difficulty-altering Skulls make a return too). Find and interact with one to unlock an animated sequence that further fleshes out the story, in this case with nods toward Halo 5. Halo 2 also includes brand new cutscenes that have been completely restaged by Blur, the visual effects studio behind the cinematics in Halo Wars. Blur also created two completely new cinematics, a prologue and an epilogue, that are meant to bookend the entire collection, teasing what’s to come in 2015. On top of that, there’s also Halo: Nightfall, an episodic live-action series from producer Ridley Scott. Nightfall picks up a story set after the events of Halo 4, introducing new characters and setting up what’s to come in Halo 5 Guardians. The Master Chief Collection will ship with the first episode of Nightfall ready to go,with subsequent episodes to be released on a regular basis leading into the Halo 5 beta, also the final piece of the puzzle. All copies of Halo: The Master Chief Collection include access to the Halo 5 Guardians beta, which is set to kick off in December 2014. We’re not clear yet on when it begins, but 343 intends for Nightfall to lead directly into the beta. So you’ll get your Nightfall finale, then jump over to the beta shortly thereafter. It will only run for a limited time, but we’re told that it will offer a glimpse at a broad sampling of the multiplayer action in Guardians. 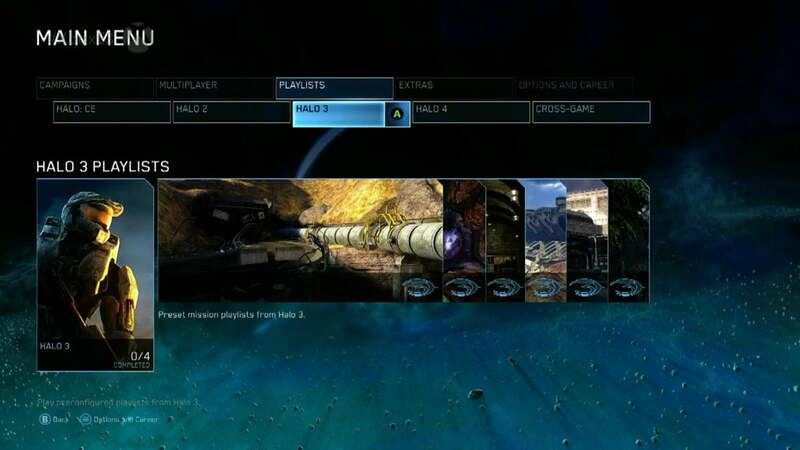 Let’s just sum up what we’re looking at here in Halo: The Master Chief Collection. The $60 package includes Halo: Combat Evolved, Halo 2 Anniversary, Halo 3, and Halo 4, all ported over to and spruced up for the Xbox One, with all previously released DLC intact. Halo 2 Anniversary is further souped up with enhanced graphics, the addition of collectible Terminals and Skulls, and completely redone cutscenes from Blur Studio. The whole package also includes prologue/epilogue cinematics from Blur that nod to what’s next with Guardians. Beyond that, The Master Chief Collection also includes access to the full Halo: Nightfall series as each episode is released, as well as access to the Halo 5 Guardians beta, which kicks off this December. It’s a whole lot of Halo on a single disc. There isn’t a specific release date set yet, but look for Halo: The Master Chief Collection on Xbox One sometime this fall.